Line numbering is a great little feature in word. It is great for legal or research documents. There may be times, however, when you may want to exclude a paragraph from line numbering. Position your cursor int in the paragraph that you want numbered. Click the small icon at the lower-right corner of the Paragraph group. 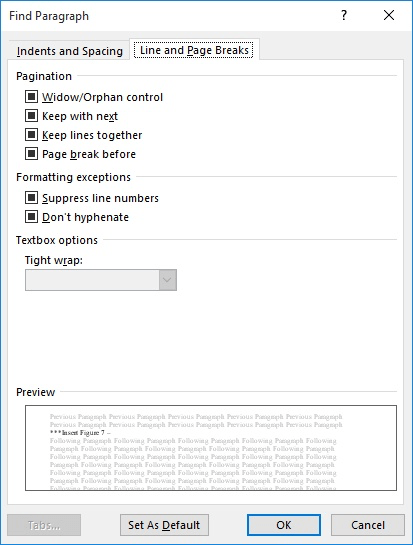 Word displays the Paragraph dialog box. Be sure the Line and Page Breaks tab is selected.